1.4 16v engine, el. 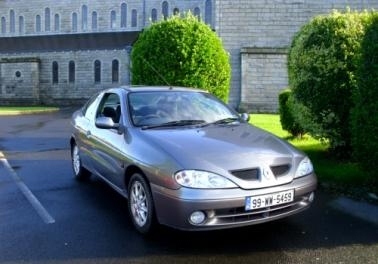 Windows, front rear, central lock with remote, alarm, ABS, on board computer showing MPG, DISTANCE, TIME ETC..4 air bags, mp3 player, 4 nearly new tyres, front after lift like 2002 models. Car went true NCT today fail on few small things : rubber on brake pedal, wiper blade, and washers 🙂 car is booked for re test on saturday 6/10 so car will come with new nct.